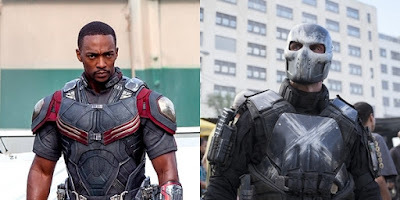 It's a reunion of MCU supporting players as Anthony "Falcon" Mackie and Frank "Crossbones" Grillo are teaming up on Point Blank, a Netflix action flick with a generic title that might end up being pretty great. Point Blank will be directed by Joe Lynch, best known for killer genre films like Knights of Badassdom, Everly, and Mayhem. Lynch is someone I'd love to see do a Marvel movie someday, just saying. Everly is an awesome film. Anyway, Point Blank is a remake of the 2010 French crime thriller by director Fred Cavayé about a nurse whose pregnant wife is kidnapped by a dangerous criminal who forces him to do his bidding.